The EPIC App Challenge is an Intelligence-Community-focused challenge for developers directed at one or more hard problems the IC is facing today. 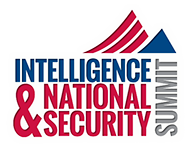 Participating in the App Challenge is a great way to show off your school or company’s developers and technical talent to 3 esteemed judges and over 1,000 attendees at the 2018 Intelligence and National Security Summit. Similar to a hackathon, teams will be competing against each other in a 10-day sprint to create the best solution to the problem involved. Instead of running the challenge on-site, teams will work from their home, office, or school to create their solutions and then present them on the kickoff day of the Summit, September 4. There will be cash prizes given to the first, second, and third place teams, which will be announced following the keynote luncheon on the opening day of the conference. We will host a virtual kick off at 11am on Friday, August 24 to provide all teams with the problem statement, as well as answer any questions you may have. We will also provide contact information if you have any questions along the way. You will have until 8:00am on Tuesday, September 4 to work on your project. Your solution should be presented as a live demo. You will arrive by 8:15am to present your solution to the judges. We will kick off the event with opening remarks, and then each team will present their solution. Judging will be done science fair style. Judges will give each team approximately 15 minutes to present their solution. Judging will conclude at 11:00am. Following the round of judging, the winners will be selected and recognized on stage following the opening keynote luncheon, which begins at 11:45am. Teams are allowed to leave their solutions set up the rest of the day for the 1,000+ INSS attendees to come by and see your solution. The App Challenge problem will focus on anticipating events based on open source data sets that may include data for natural disasters, social unrest, cyber attacks, or disease patterns. Participants will be judged on their ability to develop anticipatory intelligence solutions based on the final judging criteria. Utilize a publicly available open data set (i.e., CIA World Factbook, Data.gov, more) to provide indictors and warning (i.e., anticipatory intelligence, predictive analytics, pattern recognition) for an ongoing or upcoming global event that would be relevant to National Security Interests of the United States. Your solution will be judged on two prongs: First, on the problem sets impact to national security; and, second, the technical solution and how well the proposed solution will meet that need. Further details to be provided during the kickoff on Aug. 24. Indictors and warning: pattern recognition, machine learning, anticipatory intelligence, predictive analytics, etc. Teams must be able to attend the morning of September 4 to present your solution. Cost is $50 per team to participate. You are allowed to use any types of tools and technology you need to use. Participants can use any open data set. For example, the recently released DIUx xView data set is an available source for open geospatial data should that be needed to respond to the challenge. Teams must be able to bring the tools and technology necessary for their presentations to the conference. Internet and power will be provided onsite at your presentation booth. You can use any facility you would like to work on this. All code must be your own work. The intent of the EPIC App Challenge is for teams to discover what can be accomplished within the prescribed time window. The presentation of capabilities that are mature and created ahead of the prescribed window will not be considered for prizes and violate the spirit of the event. However, participants may leverage existing open source libraries, databases, cloud services, snippets of code, etc. All solutions must be unclassified. Creativity – Is this a new, innovative idea? Relevance – Would it provide for the needs of an Intelligence Community or national-security customer? Intuitiveness – Is this solution easy to use? Does the flow make sense? Is the design appealing to the eyes? Value - Does it actually answer the question posed and provide a feasible solution? Impact – As the solution is explored, does it provide more or less value than you initially thought? Ability to be built upon – Could this solution be applied to other problems and expanded to provide more/other solutions for the customer in the future? Or is it so specific that it is only good for one thing? Contact Us! Email: epicappchallenge@afcea.org or call 703-631-6210. The EPIC App Challenge is co-hosted by AFCEA EPIC and the INSA Intelligence Champions Council. The AFCEA Emerging Professionals in Intelligence Committee (EPIC) is an association of under-40 intelligence and national security professionals focused on developing leaders, networking, and giving back to the Intelligence Community (IC). Learn more about EPIC and how to join here. The INSA Cyber Council seeks to fuse knowledge from industry, government, and academic experts to provide authoritative and influential insight regarding national security challenges in the cyber domain. The Council will seek to promote a greater understanding of cyber threats, challenges, and opportunities that can be addressed effectively through public-private collaboration. Learn more here.